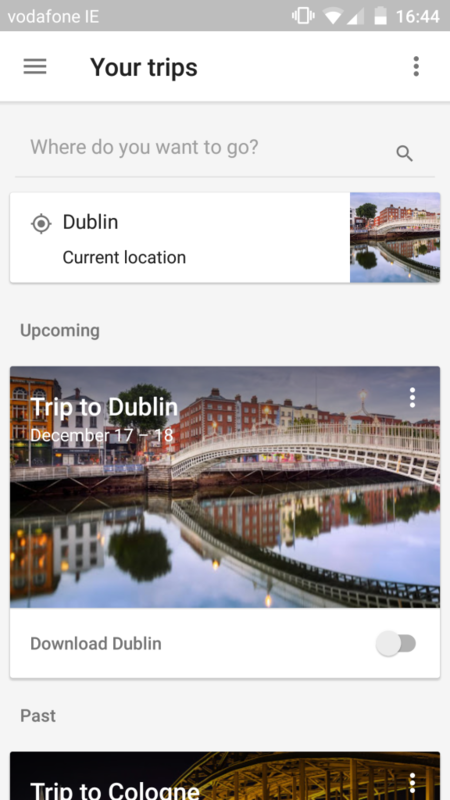 I’m always on the lookout for another great travel related app, so when I heard about Google’s new app called Google Trips I knew I needed to give it a try. I’m a big fan of our Google overlord’s other work so I had high hopes for Google Trips. When you first install Google Trips it will look back through your Gmail to find anything it recognizes as a flight or a hotel reservation. Your first trips will be based on those emails. However, if you’ve had the email forwarded to you from someone else, say your husband, it won’t recognize those and they will have to be inserted manually. Once inside a trip you’ll be given several options. I’m going to go through them all and give my thoughts on them before giving my final thoughts on the app. In this section, you will find all your flights, hotels, dinner, and theatre reservations that can be found in your email. It contains all the information you could need about that reservation as well as quick access to the emails about those specific reservations. So you won’t have to go digging around. The app says if you forward the email to your Gmail account that it will be added but I know for a fact that some forwarded flight information that is in my email is missing. So from the looks of things it doesn’t always work. In this section, the app does have a few advantages over competitors like TripIt, which is what I use already. Those advantages come in because the app is able to access your Gmail account directly rather than you having to forward your reservations to TripIt. The biggest thing I like about this section though is that it connects the emails to the reservation. So if you’re in a hurry to find a confirmation number or a specific detail from an email you can do so with just a few clicks. In the Things To Do section you quite simply have all the top tourist sights in your destination. 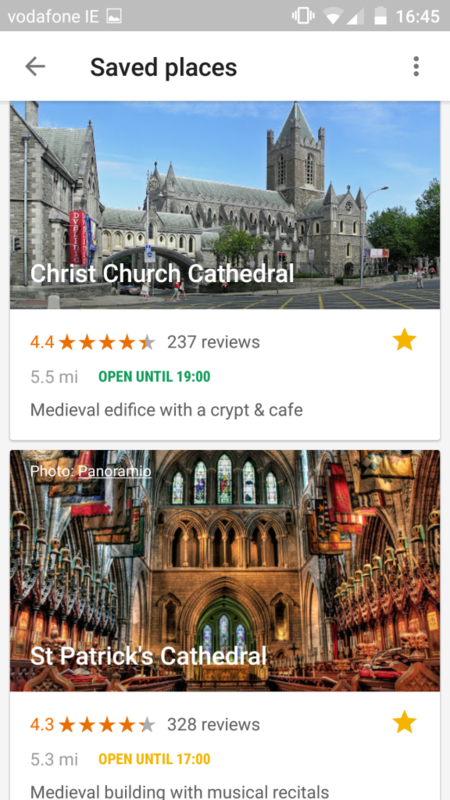 It includes a link to open a map so you can get directions, the opening times, and reviews from Google users. You can also star it so you can find it again in the Saved Places section of the app. Food and Drink has two sections, the first is an overview of what the food is like at your destination, including traditional meals. The second section is Top Spots and as you might expect you can find the top spots to eat. Once again it gives opening times, directions, and reviews. In those two sections, you can click a star to save a place that looks interesting to you. They’re located in the Saved Places section. It doesn’t really do anything more than provide a quick list of all the places from Things To Do and Food and Drink that you liked. All three of these sections are basically just TripAdvisor. For me personally, I don’t find a whole lot of use in this part of the app. I tend to leave on my trips already knowing exactly what I want to do, sometimes that even includes food. Having it on my phone really just means that if I happen to find myself in the middle of the day wanting a specific kind of food or if I feel like I’ve run out of things to do I can find something on this app. It could have come in very handy on my trip to Bristol a few years ago where my husband and I actually found ourselves bored and the majority of a day with nothing to do. But considering this has only happened to me once in 8 years, I’m going to go ahead and say I don’t need this function. Day Plans gives you a few different themed trips. 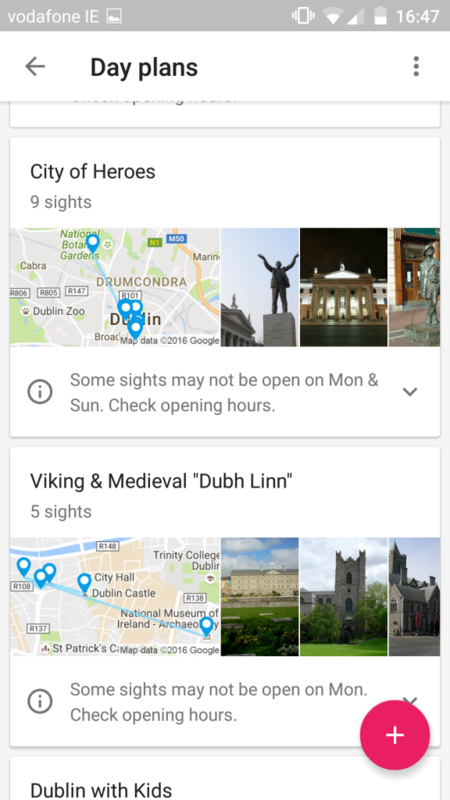 Dublin has a handful of trips that include maps and links to the sights in the Things To Do section. Themes include Vikings, kids, and then a plan for if you only have 3 days here. Once again, this really isn’t a feature I ever see myself using. But more important, it isn’t available for everywhere. Even somewhere as popular as Cologne doesn’t have any day plans on offer. I could see using them before I leave for my trip to get an idea of what really counts as the best of the best for that destination. This handy little section goes over how to get around your destination, including from the airport. Perhaps the most useful part of it though is the Walking/Biking section which talks about how walking-friendly the destination is. It mentions if the city is flat and what the biking situation is like there. While this information is kind of useful…again, I don’t see myself using it. These are all things I would look up before I ever left home. I do like that it mentions city bike programs like Dublin’s DublinBikes program. 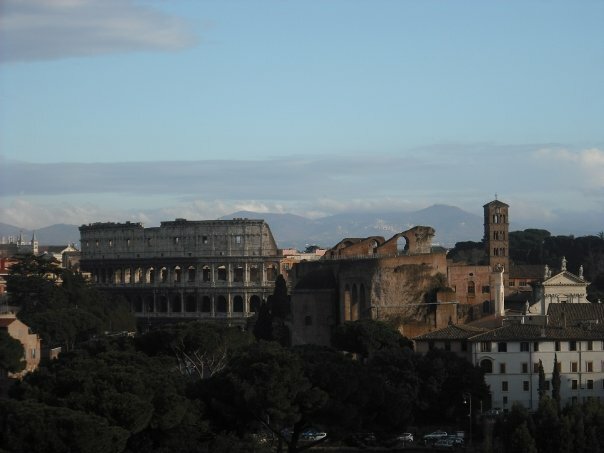 This is something that locals will know quite well, but most travel sites tend to overlook. The need to know section has information like who to call if there’s an emergency, where hospitals are, the local tipping rules, what the internet is like, and even what shopping is like. This is a somewhat handy section. It’s always good to know what the emergency number is for the area you’re in. Buuuuut….if there’s an emergency there’s a pretty good chance you won’t ever be far from a local who can lend a hand or know what to do. Tipping rules are very useful, though. I think it’s very important to observe local tipping culture. At the moment the app is an ok start. It lacks any real ability to customize and it doesn’t always give you information from your Gmail. As the app stands now I see no reason to use it. I would love to see it expand to create plans out of your starred things to do and food. So far the reviews on the Google Play store aren’t the most positive, most give it 2 stars, which is where I would put it as well. If you do end up using the app be warned that it will eat up your data like crazy as it downloads huge amounts of information. I hope Google keeps working on the app because it does have potential in ways that only Google could give. What are your thoughts on the app? I’d love to know what your favorite travel apps are, I’m always looking for new ones.